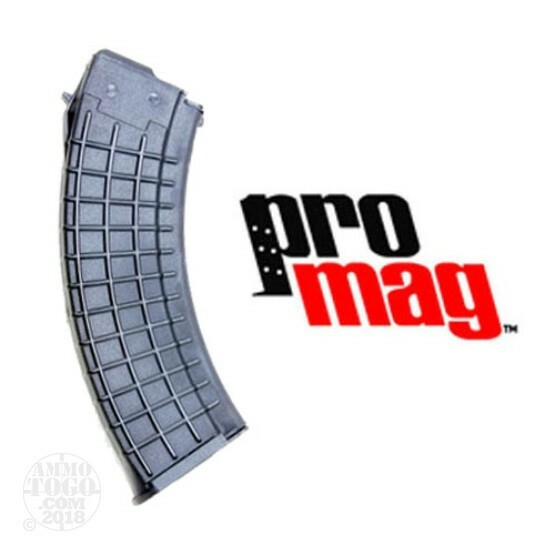 This is a ProMag AK-47 A7 Black Polymer 30rd. Magazine. A 30rd magazine for most Kalashnikov AK-47 pattern firearms chambered in 7.62x39mm. The magazine body and follower are constructed of a proprietary DuPont Zytel based black polymer to ensure a long service life. The springs are made from heat treated chrome-silicon wire for increased reliability and smooth feeding. Not for SAIGA or Norinco rifles/carbines. Great price and well made. I have used these for years with out a jam. The only complaint I have is some times you have to use a grinder or other tool to get them to fit in your mag well. I have left some of these mags loaded for 2 years or more and they would still feed like they were brand new. You can't beat these for the price or reliability.